Homepage / Huawei / Mate 20 Pro: Does Huawei really make this mistake on the new top smartphone? The Mate 10 Pro and P20 Pro does not have them either. This refers to the 3.5mm jack, with which you can connect your normal headphones to the smartphone. Recently, a rumor came up, after which Huawei could bring back the jack. That’s true – but does not apply to the Pro model. According to the latest information, only the normal Mate 20 wants to have a 3.5mm jack, while the Mate 20 Pro does not have this mobile port. Installed is the connection on the top, so you can connect your headphones without any problems, while the smartphone, for example, incidentally loads. You do not have to get new headphones. This does not work on the Mate 20 Pro. After all, Huawei comes with an adapter. Huawei did not obstruct the 3.5mm jack in both smartphones. Then the course the company takes in the point would be clear. Apple installed in the iPhone XR, yes, no jack, while the top models paint this feature. This is a really opaque and incomprehensible strategy that drives the Chinese company there. 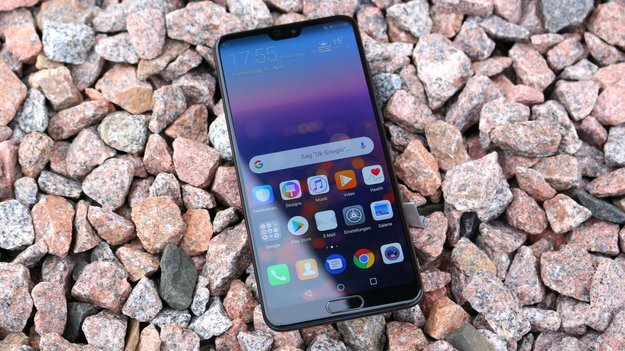 Meanwhile, it is still unclear Huawei will not bring the Mate 20 Pro to Germany. In our eyes, even with today’s information, the Mate 20 is the better new Huawei phone . Face-ID, fingerprint sensor in the display and other gimmicks are nice and will inspire us, but to do without basic functions is incomprehensible – especially since the cheaper sister model offers this feature. Of course these are just rumors and we have to wait for the official presentation of the Huawei Mate 20 Pro on October 16th. Then it will show Huawei really makes that mistake.